Working with IWDG Consulting gives you access to Ireland’s most qualified and experienced team of researchers, surveyors and analysts. We also partner with leading third level institutions, provide training and experience in cetacean survey techniques and best practice to their research staff and students. Those partnerships mean that, alongside our core team of consultants, we have access to a pool of highly qualified resources on demand, allowing us to scale our team at short notice to accommodate any cetacean monitoring project. Working closely with you we’ll tailor a team to your specific project requirements, and where relevant will choose team members based on their proximity to the project location, reducing mobilisation time and lowering travel and subsistence costs. With highly qualified surveyors based at strategic locations around the Irish coast we offer an efficient, effective and affordable solution, whatever your cetacean monitoring project. Dr Simon Berrow as founder and current Chief Science Officer of the IWDG, Simon brings over 25 years of experience in marine mammal surveying and management to IWDG Consulting. Simon not only co-ordinates the activities of the consulting wing, but also carries out fieldwork and desktop assessments. Dr Joanne O’Brien is Conservation Officer with the IWDG. Joanne was work-package leader on the PReCAST project, responsible for developing acoustic monitoring techniques for cetaceans in Irish Atlantic waters. Joanne has carried out both passive and static acoustic monitoring of cetaceans around the Irish coast since 2004. She has managed a number of IWDG projects such as harbour porpoise SAC surveys and ocean noise monitoring. Stephanie Levesque gained a masters degree in wild animal biology in London focusing on marine mammal strandings. After working for SeaWatch Foundation in Wales in 2012, where she participated in land and boat based surveys of bottlenose dolphins, harbour porpoises and grey seals, she joined the Shannon Dolphin and Wildlife Foundation. Here she carried out bottlenose dolphin surveys in the Shannon Estuary and worked as a deck hand and tour guide on a dolphin tour boat. Since 2013 she has been working with the IWDG performing land and ship based MMO work, as well as assisting with observations and PAM during harbour porpoise surveys. She is currently Project Manager of the Necropsy Tender which the IWDG won from the Marine Institute and is being delivered in collaboration with GMIT and the Regional Vet Lab in Cork. Clowie Russell is the IWDG Marine Mammal Ecologist working on the Alexandra Basin Re-development project on behalf of Dublin Port. She completed a BSc (hons) in Marine Science in NUIG and has been a member of the IWDG since 2012. She is a qualified JNCC Marine Mammal Observer with experience inshore, offshore and land based monitoring for both research and mitigation purposes. Patrick Lyne is based in West Cork and is a highly experienced marine mammal observer and PAM operator. He has observed cetaceans in numerous locations worldwide, in temperate and tropical waters from New Zealand, to Africa, Ireland and Canada and is experienced with AMS, Mseis, Seiche, Vanishing Point as well as other bespoke PAM systems. Hannah Keogh graduated from the Institute of Technology Sligo with an honours degree in Environmental Science. Hannah is a JNCC accredited Marine Mammal Observer, and has been involved in cetacean research since 2010 in temperate and tropical waters. 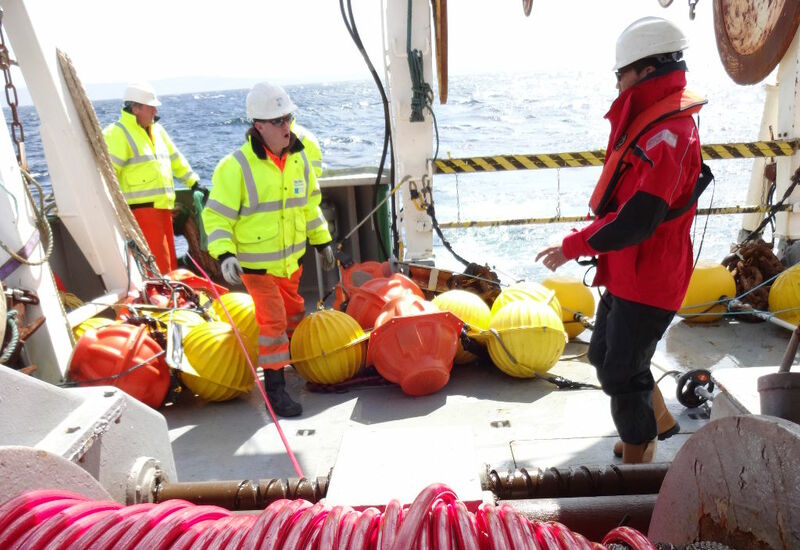 She has been involved with the IWDG since 2013 where she has worked as an MMO on various inshore, offshore and land-based research surveys. She also has gained experience in the implementation of mitigation measures during construction and development projects. Darren Craig: is a graduate of Galway-Mayo Institute of Technology with an honours degree in Applied Aquatic Ecology. He has been involved with the Irish Whale and Dolphin Group since 2009 and has experience in cetacean research in Ireland, Australia and Africa. Darren is an experienced MMO and PAM operator and has worked on offshore, inshore and land based projects both for research and for mitigation during seismic surveys. Paddy O’Dwyer has been a member of the IWDG since 2010. He received a first class honours degree in Applied Freshwater and Marine Biology from the Galway-Mayo Institute of Technology. He is a JNCC accredited Marine Mammal Observer with experience in inshore, offshore and land based monitoring as well as aerial surveys and extensive experience of harbour porpoise surveys. Meadhbh Quinn graduated from University College Cork with a BSc Hons in Zoology, and shortly after began working as a research assistant with the Shannon Dolphin and Wildlife Foundation, where she first became actively involved with IWDG. She is an accredited JNCC Marine Mammal Observer with experience in inshore, offshore and land based monitoring surveys for research and mitigation purposes, as well as experience with fisheries and fisheries bycatch surveys. Justin Judge is a postgraduate ecologist at Queens University, Belfast with strong interests in environmental mitigation, conservation biology, conservation management and MPAs. He has extensive experience of offshore and land-based marine mammal and seabird surveys and was a volunteer observer on Oceans Research. Seán O’Callaghan graduated from Galway-Mayo Institute of Technology’s Applied Freshwater and Marine Biology course with a BSc Hons degree. He has been involved with the Irish Whale and Dolphin Group since 2008 and is accredited as a JNCC Marine Mammal Observer with experience in both land and boat based monitoring for abundance estimates and mitigation measures. He has undertaken research in Ireland and Portugal since 2016. 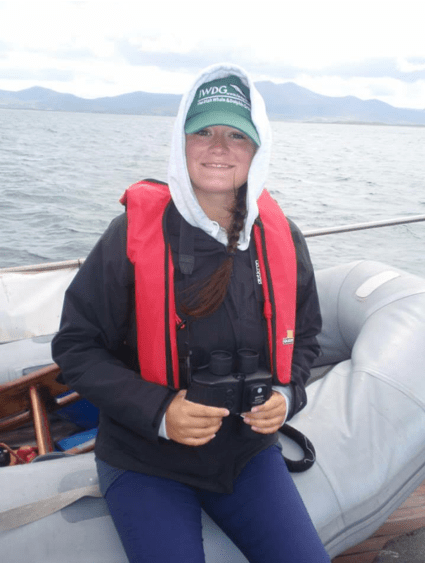 Laura Kavanagh graduated from Galway – Mayo Institute with a BSc Hons in Applied Aquatic Ecology and is an accredited JNCC Marine Mammal Observer and Seabird surveyor. Laura has 10 years experience in marine wildlife surveying and was involved in the PReCAST (IWDG), BRAHHS (University of Queensland) and SCANS III (SMRU) projects, as well as working worldwide in both the oil & gas and renewable industries, with extensive experience working in north Atlantic waters. Andrew Shine graduated from NUI Galway with a BScHons in Marine Science, during which he first became involved in the IWDG, after volunteering in the Shannon Dolphin Centre, Kilrush. He has joined a number of international surveys at sea, focusing on a wide variety of research topics including marine mammals, fisheries, oceanography, geology and deep-sea mapping and exploration. He is interested in research on the effects we have on our environment and marine ecosystem conservation. He is a JNCC accredited MMO and doesn’t leave home without his binoculars.